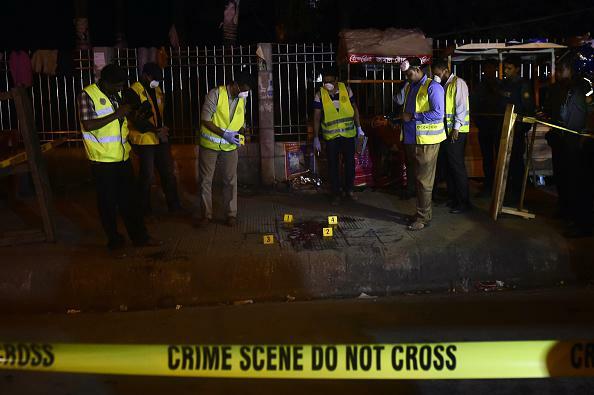 Avijit Roy murdered: Bangladeshi-born U.S. citizen and secular blogger killed. Police at the crime scene in Dhaka. Based out of the Atlanta area, Roy was a “prominent defender of the free thought movement (and) advocate of atheism, science and metaphysical naturalism,” according to his website. He authored seven books and his writings were also featured in numerous magazines and journals. Roy’s outspokenness, especially on matters of religion, made him a target in Bangladesh, where nearly 90% of people are Muslim and 10% are Hindu, according to the U.S. government. “Police say they are investigating a local Islamist group that praised the killing,” the BBC reports. Roy and his wife were attacked together; his wife has survived but suffered injuries including a severed finger. Per the AFP, Roy is the second blogger to have been killed in Bangladesh in two years and the fourth writer to be attacked in just over a decade.